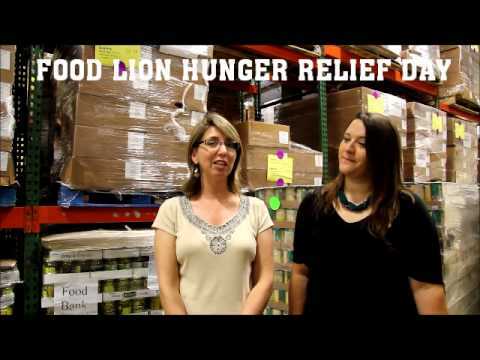 Food Lion Hunger Relief Day at the N.C. State Fair is just around the corner. On Thursday, Oct. 18, you can bring four cans of Food Lion-brand food with you to the fair and get free gate admission all day. All food collected during the event will be donated to the Food Bank of Central and Eastern North Carolina. The food bank helps more than 560,000 people annually in a 34-county area surrounding Raleigh. About 73,000 people receive emergency food assistance in any given week from the food bank. With such a great need in our community, Agriculture Commissioner Steve Troxler announced a challenge to fairgoers for Food Lion Hunger Relief Day. If visitors break the Hunger Relief Day record of 247,569 pounds of collected canned food, the fair will donate $1,000 to the Food Bank of Central and Eastern North Carolina. If more than 275,000 pounds is collected, the fair will give $2,500. Finally, if collections reach 300,000 pounds, the fair will donate $5,000 to the food bank. For every dollar donated, the food bank can provide $10 worth of food or five meals. A $5,000 donation would be worth an additional 25,000 meals to people living in North Carolina. Four cans gets you free admission to the fair Thursday, Oct. 18. Consider adding a can or two so we can make a greater difference for those in need. So, what are you waiting for? Stock up on canned goods and other items from the food bank’s most needed list, and bring them Thursday, Oct. 18. You can help those less fortunate in our communities and enjoy free admission to the N.C. State Fair. Progress Photo – THREE days!